Advertising with Google is very popular and this tutorial is going to show you how to buy adverts that will appear as sponsored links on Google. 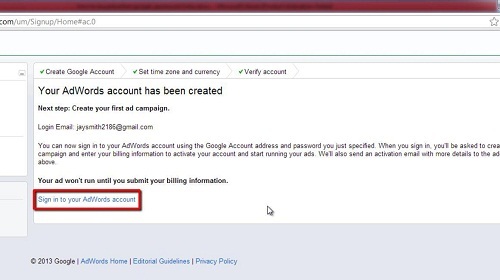 Navigate to the AdWords Website at “www.AdWords.google.com” and sign into you Google account. You will be presented with the screen that allows you to customize your AdWords account. Select your country, time zone and currency and click “Continue”. 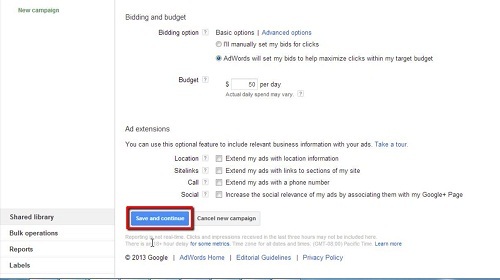 You will be taken to a new page and at the bottom click the “Sign into my AdWords account” button. 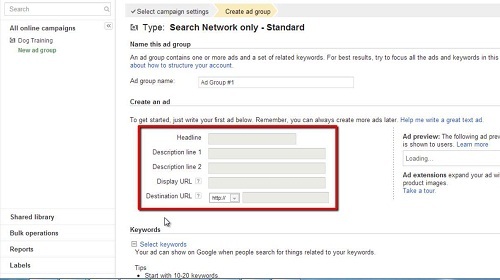 You will be taken to the main page for AdWords this is where you can learn about the interface and create a campaign. Click on the “Create your first campaign” button and you will get to name the campaign, choose a network for it and many other options. When you have specified all of these click “Save and continue”. On the next page you will be able to create the wording for the campaign and choose some keywords to target – make sure you target your keywords carefully. Finally click “Save and continue to billing”. You will then need to set up the billing which is something easy to do but won’t be covered here as it requires personal and banking information.